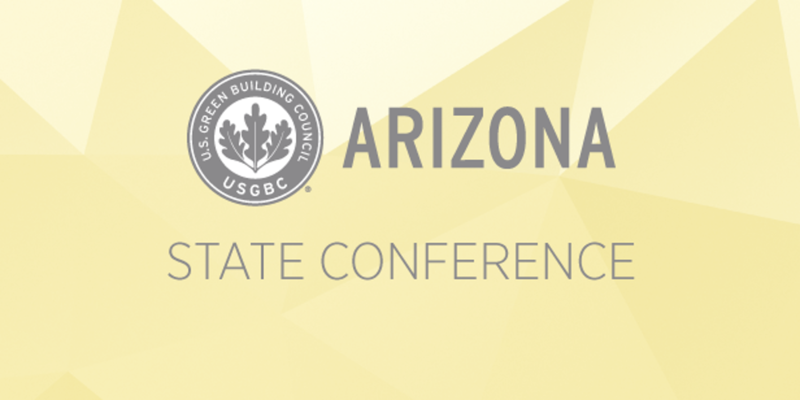 Join USGBC Arizona for its 6th Annual State Conference! This conference will bring together industry leaders, experts, and frontline professionals dedicated to sustainable building. Participants will be equipped with a renewed passion and purpose, and the tools to realize their green goals. The Arizona State Conference will feature an entire day of inspiring speakers, a showcase of innovative green products and services, and invaluable networking opportunities. Attendees can earn GBCI and AIA continuing education. Click on the following link to register! Sponsorships and exhibiting opportunities are available! Contact Kris Wilson for more information.